There comes a time in life, when you or someone you know suffers from a devastating loss. What do you say? How do you offer your support? How do you move on with your life if that person is you? 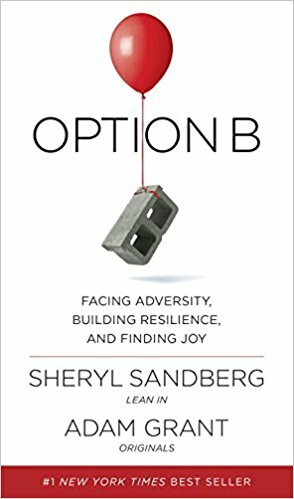 In our summary of “Option B,” we answer all of these questions through the story of Sheryl Sandberg and her loss – recovery. Who Should Read “Option B”? and Why? Sheryl Sandberg, a successful and happy woman, watched her life crumble into pieces when her husband Dave Goldberg died while they were vacationing in Mexico. Going through the loss and helping their children deal with the sadness were the toughest challenges that she ever encountered in her life. After coming out of the crisis, she decided, along with her co-author Adam Grant, to document some of the most personal moments of her journey through grief, and in such a way share everything that she had learned about coping with loss. We recommend “Option B” to everyone, since everyone needs to find the right way to receive and give support during a crisis. 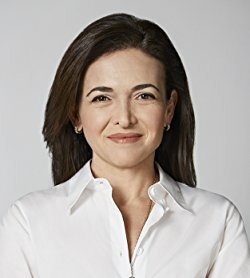 Sheryl Sandberg worked in the US Treasury Department, and was a vice president of global online sales and operations at Google, before becoming the COO of Facebook. She is the author of “Lean In“. 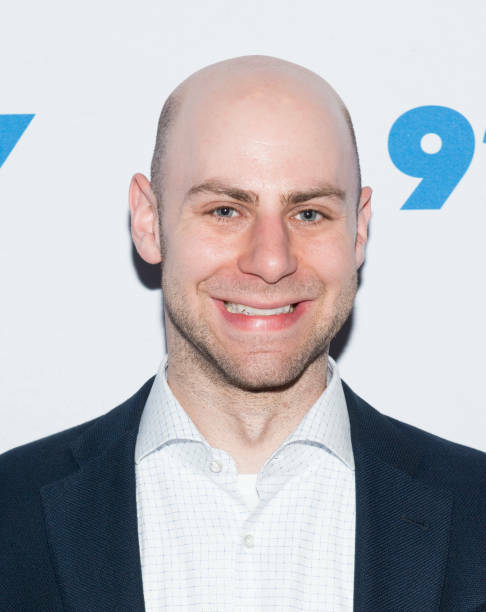 Adam Grant is the Wharton School’s highest-rated professor and the youngest tenured faculty member. He is a former advertising director and a junior Olympian. We have all suffered or will at some point in time experience some devastating loss. However, feeling such loss must not stop our lives from functioning. We cannot stop time; we cannot stop the world. Life goes on everywhere around you, no matter what happens to you, so you do not have the luxury just to stay away from everything. You have to learn how to cope, and let life flow the way it was moving before. When Sheryl Sandberg suffered such a loss herself, she realized that she needed to find a way to cope with the seemingly unbearable sorrow, because she needed to care for her children. Facing such challenge made her create a list of strategies that would help people weather the tragedy. In “Option B” she shares the lessons she learned regarding giving and receiving comfort. She categorized her insights in nine lessons for moving forward, which we cover in the key lessons below. 3. Name the elephant in the room. 4. Try not to ask, “Is there anything I can do?” – Just do it. 7. “Take things back” from your loss. 9. Acknowledge that you can learn how to love again. Eleven years after they married, Sheryl Sandberg and Dave Goldberg left their two kids with their grandparents and went on a vacation in Mexico, to go to their friend’s 50th birthday celebration. On Friday evening, Goldberg decided to go to the gym. When he did not rejoin their gathering, Sandberg and Goldberg’s brother discovered him lying on the floor of the gym, with pools of blood under his head. They did CPR and called an ambulance, but the situation was already past the point of no return. Sandberg felt the deepest pain in her life. Her friend, psychologist Adam Grant, consoled her telling her that she could find a way to recuperate more quickly, reinforce her strength and push anguish to run its course faster. He guaranteed she would feel happiness again. At the point when Option A is not accessible, Option B is your only choice. 3) “Permanence” is the conviction that things will never show signs of improvement. Individuals who avoid the three P’s adapt better. After Goldberg’s death, Sandberg was often shocked when colleagues did not ask how she was doing. She acknowledges with empathy that although most grieving people want to voice their feelings, people tend to avoid the subject of death. Psychologists call this avoidance the “mum effect.” Often, many who want to express sympathy do not know how. Feeling lonely one night, Sandberg bravely posted on Facebook that instead of asking “How are you?” – a routine question often posed without thinking – people should ask, “How are you today,” to show that they understand the daily up-and-down struggle of coping with tragedy. The reaction to the post was warm and positive. Strangers shared stories; friends began to talk openly and express empathy. Try not to ask, “Is there anything I can do?” – just do it. Instead of asking people if they need something, just do it. Holding out a helping hand encourages people regardless of whether they asked for help or not. The worst thing you can do is disappear. Recording small everyday triumphs supports your self-confidence, and helps you cope better. Focus on the positive, no matter how insignificant it may seem. There are different types of people out there. Some people suffer from PTSD or depression after trauma, while others bounce back and become stronger after a loss. “Take things back” from your loss. Do not waste your life by shutting happiness out. Rediscover fun by taking things away from your grief: do the things that are interesting alone or with someone else, even though you may have done them with your late loved ones before. Sandberg thought that her children would suffer significantly from losing their father. However, children have a different coping mechanism as opposed to adults, and as a result, can recover more easily. Take care of your children by listening to them, valuing their ideas, and letting them shape their lives. Acknowledge that you can learn how to love again. After losing a loved one, letting yourself look for affection someplace else can be a problem. Dating can make you feel guilty. People that once knew you paired with someone may also find it troublesome to picture you with someone else. However, you have to allow yourself to feel love again. Moving on does not mean that you stop respecting and caring for your late partner. It means you allow yourself to live. In “Option B” Sandberg and Grant study how other people deal with trauma and, how some of them even found a new purpose in life through post-traumatic growth. They furthermore explore the qualities of recovery and resilience and give advice and recommendations that anyone could use when in need of support, consolation, and finding your way back to happiness.